Spain’s best-kept secret to international clients, but well loved by locals, situated along the Atlantic coast with stunning beaches, great food, entertainment, and water sports. 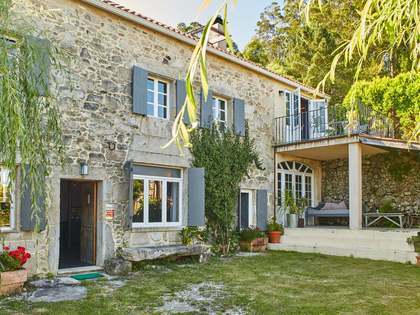 Lucas Fox offers an excellent selection of Rias Baixas Real Estate for sale, including unique luxury villas and high-end apartments. Pontevedra forms part of the coastal area of Galicia, known as Rias Baixas, a wine-growing area that is famed for its Albariño white grape and for boasting the best seafood in Spain, served daily at the excellent marina restaurants. Pontevedra has so much to offer by way of history and culture as well as stunning natural landscapes, ideal for hiking, not to mention the Camino de Santiago walking route. 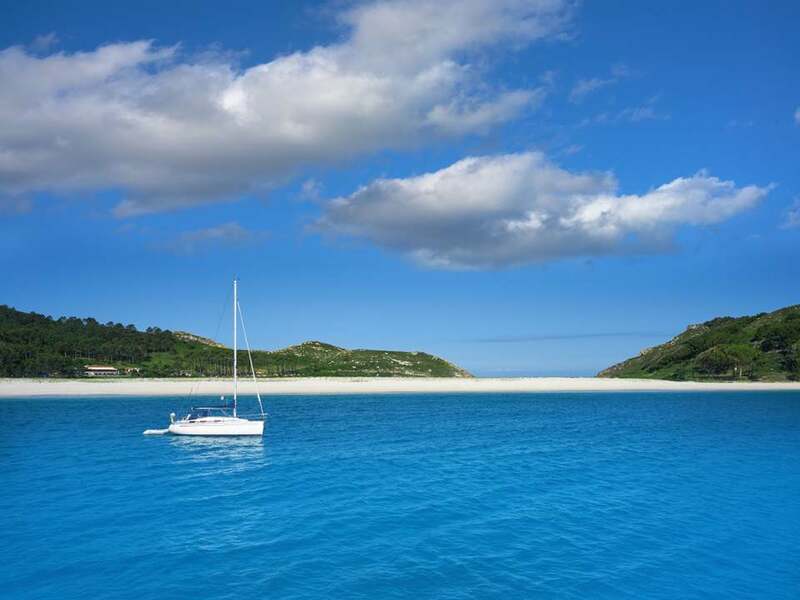 When you tire of the land, turn to the white sandy beaches that are rarely overcrowded, for a spot of surfing or sailing, as this region hosts a variety of boating events as well as world-famous tournaments. The coastal estuaries and islands of this area are also a delight to explore. Another advantage of this particular area is its fantastic climate compared to the rest of Galicia, with warmer, drier summers and milder winters. The area boasts 2 international airports (Santiago de Compostela and Vigo City) offering daily flights to northern Europe and the rest of Spain, and a fast train line will be finished in Vigo City by 2020, providing direct access to Madrid Atocha Rail Station in less than 3 hours. 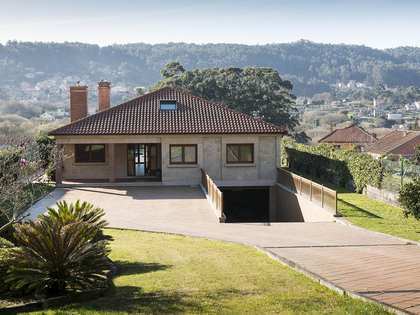 Property prices are on the up in the province of Pontevedra, as international interest in the area grows, and the buoyant rental market makes this an interesting time to invest in Pontevedra real estate. At Lucas Fox, we cover the entire area of Rias Baixas (Galicia South), with a primary focus on the coastal area from La Toja all the way to Baiona, including the cities of Vigo and the Pontevedra. Many of these coastal towns offer stunning beaches with views of the islands, hidden beach coves and lush green landscapes. 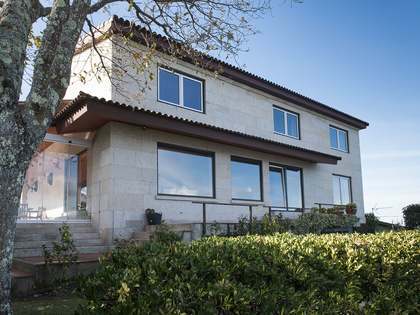 Our catalogue of Pontevedra homes for sale includes a range of property types to suit all tastes and budgets including luxury villas, unique and historical homes, traditional pazos (mansions), rustic Galician-style country homes, high-end apartments, beachfront properties and investments opportunities. New build properties shall soon be on the market too as Vigo City Council has just reopened licences for New Developments due to high demand that has long outweighed the supply of properties of this type in the area. Our clients typically include Spanish nationals seeking a permanent residence, investment project or an ideal holiday home away from the throngs of tourists on the Mediterranean coast in the summer months. Many international clients, particularly from Venezuela, Mexico, the United States and Northern Europe, come to this area due to a family connection with the region.